Our recent publication Synthetic Polymer with a Structure-Driven Hepatic Deposition and Curative Pharmacological Activity in Hepatic Cells has been published in ACS Macro Letters. Synthetic polymers make strong contributions as tools for delivery of biological drugs and chemotherapeutics. The most praised characteristic of polymers in these applications is complete lack of pharmacological function such as to minimize the side effects within the human body. 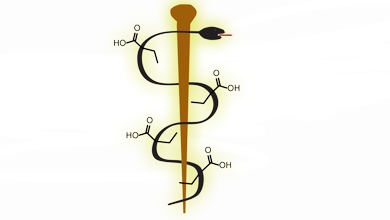 In contrast, synthetic polymers with curative pharmacological activity are truly rare. Moreover, such activity is typically nonspecific rather than structure-defined. In this work, we present the discovery of poly(ethylacrylic acid) (PEAA) as a polymer with a suit of structure-defined, unexpected, pharmacological, and pharmacokinetic properties not observed in close structural analogues. Specifically, PEAA reveals capacity to bind to albumin with ensuing natural hepatic deposition in vivo and exhibits concurrent inhibitory activity against the hepatitis C virus and inflammation in hepatic cells. Our findings provide a view on synthetic polymers as curative, functional agents and present PEAA as a unique biomedical tool with applications related to health of the human liver.